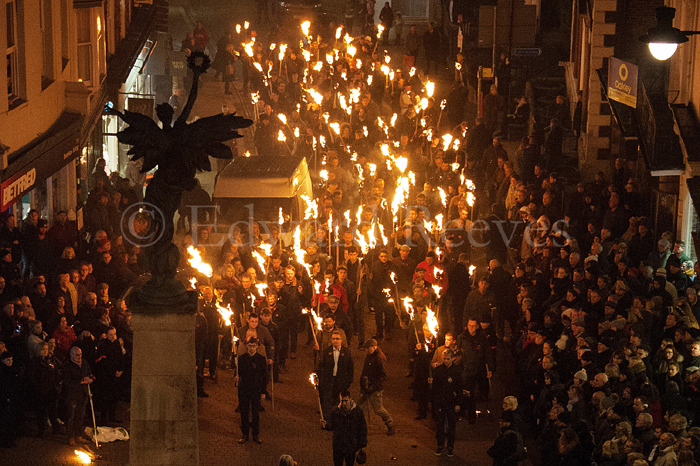 On 12th November 2017, flaming torches were carried through the streets of Lewes, East Sussex to commemorate the 236 from the town who died during the First World War and are recorded on the War Memorial. Brigitte Lardinois, (Senior Research Fellow at London College of Communication, University of Arts, London) has for the last five years been working with Tom Reeves and Tania Osband (the owners of the Edward Reeves Archive in Lewes, East Sussex) to create events that engage the local community with the archive. After showing pictures on lightboxes in various relevant places around the town, ‘Stories seen through a Glass Plate, no 5: Lewes Remembers 1914-1918’ was a one-off vigil commemorating Lewes soldiers who lost their lives during the First World War. The project linked The Edward Reeves Archive with the Sussex County Archive and actively engaged hundreds of young men. The experience of the ritual intensified the awareness of what it would have meant for a small community to lose so many of its young men. The event had a profound effect on both participants and onlookers alike. The Lewes War Memorial records 236 names of Lewes residents who died in World War 1. There were approximately 350 local casualties, many of whose names are commemorated elsewhere in the town. 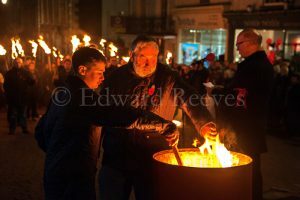 At dusk on 12th November 2017, 235 men and one woman of the age of those who died walked with a flaming torch from the home addresses of the fallen soldiers to the War Memorial, where their torches were extinguished. In some cases members of the families of the fallen soldiers walked in their name, and were distinguished by yellow instead of red arm bands. Where more than one person in a family died the men doused their torches together. 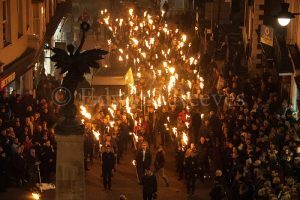 The Lewes Remembers vigil was created by nearly 500 Lewes volunteers with the support of the seven Lewes Bonfire Societies and the staff at Lewes Town Hall. Without their commitment and logistical work behind the scenes none of this would have happened. All services were provided free of charge and a small grant from Friends of Lewes paid for the information leaflets and the badges of the participants. For logistical reasons, the vigil could not be advertised, so a short film was made by four professional filmmakers resident in Lewes in order to share the event with the community. It was directed by Tony Dowmunt and Mick Hawksworth. The ‘Lewes Remembers’ film is a Lewes Community Screen Production in collaboration with the London College of Communication, UAL and the Edward Reeves Archive Project, who initiated the Remembrance Day event. A short trailer can be seen online. This film premiered in The Depot Cinema, Lewes with a showing to the participants, after which it was shown with an accompanying exhibition to a wider public. Extensively covered by the BBC it reached a larger audience on the BBC website as well as Facebook. The exhibition was first shown in Lewes Town Hall from 13 November – 25 November 2017 and in an updated version in The Depot, Lewes from 5 February – 11 February 2018. It showed material from the Edward Reeves Archive as well as copies of the 236 original applications filled in by Lewes families who applied to have their loved ones included on the War Memorial uniquely preserved by Lewes Town Hall and kept in the Sussex Archive in The Keep. 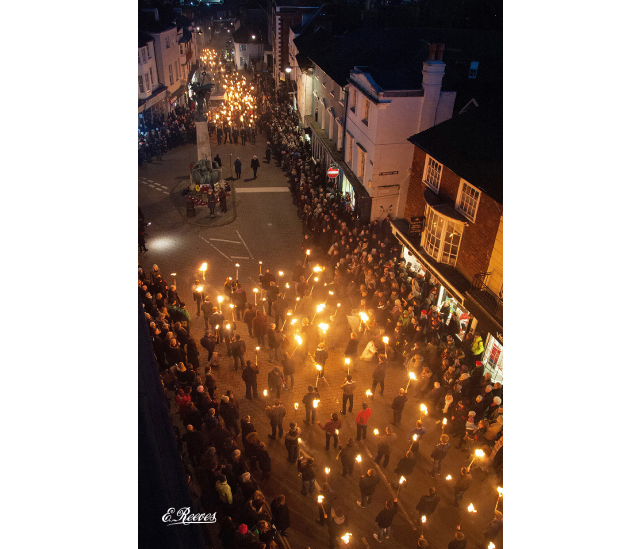 On 19th April 2018, the organisers were presented with a civic award from Lewes Town Council in recognition of the project which was put together on a budget of only £500, and the only cost towards participants was for leaflets and badges.